This week I ’ave been mainly freezing my n**s off renovating our barn. It’s a slow process because there’s only me working on this building site but then that is keeping the costs down and it also means that I won’t run out of news to blog about anytime soon. The walls start off in stone (une soubassement en pierre) and then turn into cob. They’re over 60 cm (2 ft) wide at the bottom and taper, ever so gently, towards the top. The door and windows are held in place by an apparently earthquake-and-hurricane-proof double frame of solid oak that spans the width of the wall. 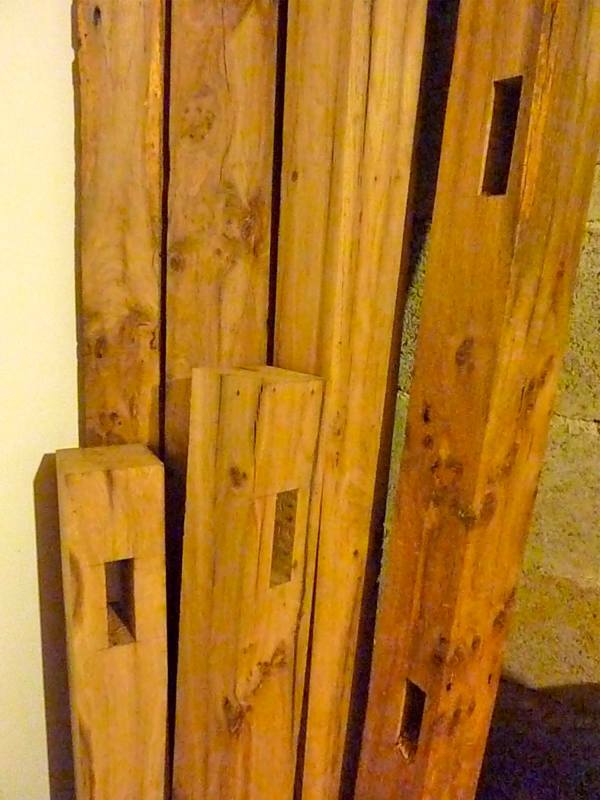 I’m doing it ‘à l'ancienne’ and these ‘double carrés en bois’ consume an awful lot of oak. Now there’s a couple of problems here: a.) that’s going to be expensive and b.) 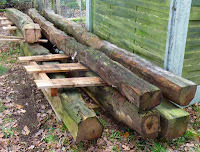 the oak available to buy is green (soft, new, fresh from the forest) and, although it’s easier to work (chop mortises out of, for example) it’ll twist and bend and move as it dries. 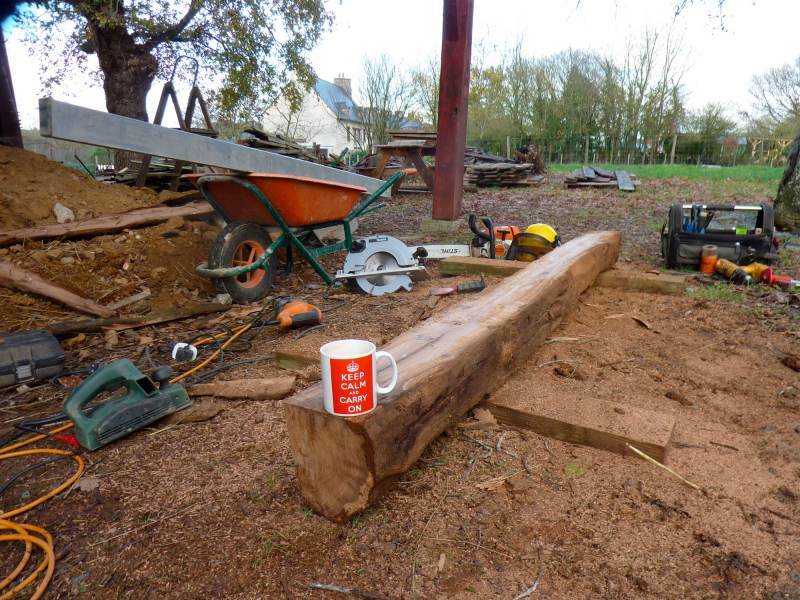 I needed old, stable oak … and for as little as possible! 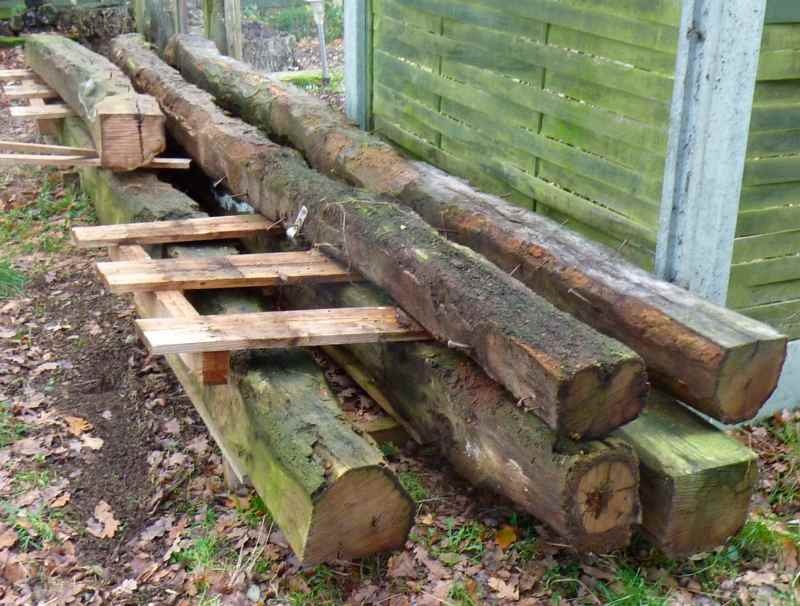 I looked at the pile of oak floor joists that I replaced with engineered wooden I-beams; was there some good wood left in the heart of these aged beams? After four days spent on my knees with various power tools, many cups of tea and equal measures of patience and frustration, followed by a couple of days in friend Jim’s workshop, I can affirm in the positive. The downside of using old oak is that it’s as unwelcoming to woodworking tools as a lump of granite. 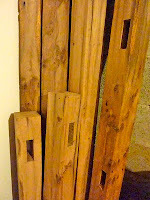 It took a long time to plane up the roughed out wood and then chop the mortises, the latter accompanied by a fair degree of acrid smoke, however slowly I descended the cutting bit. I’m sure I left my generous friend Jim with a set of blunt tools at the end. I’m currently making sure that the gable wall is fully supported before I break out a hole large enough to insert the new, larger openings and have room around them to work. The idea is to not have the rest of the gable end fall on my head, quickly followed by the new roof! Neighbour Serge, who’s ‘in-the-trade’, is supervising this important stage and will check what I’ve done before I remove anything substantial. I've always thought that those War Ministry cups should have stamped on the bottom, inside, "NOW SCREAM!!" 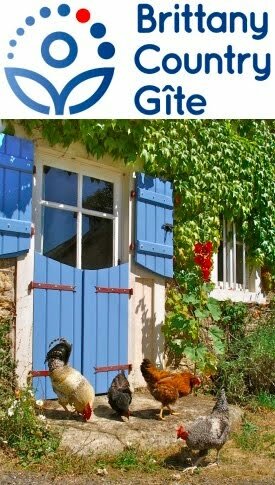 Bonne chance with the barn... bonne chance! I rather fancy the idea of drinking to the end and then being able to read (in the tea leaves, perhaps) the solution to whichever problem is presenting.